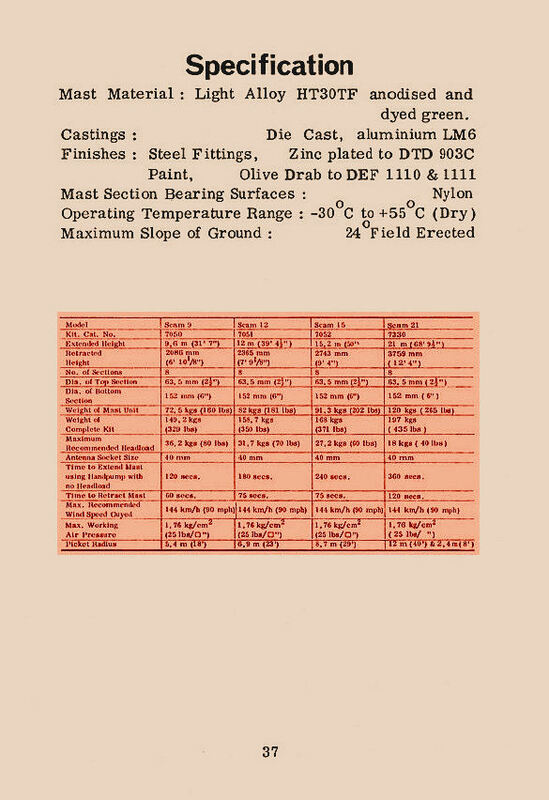 Illustrated in this web page, for historical purposes, are the SCAM Series Field mountable Masts pages from Clark Masts early 1970's catalogue. The Clark Masts SCAM military mast series of the late 1960's - early 1970's was designed to take heavy loads with an integral tripod for direct field mounting. It consisted of 4 different models. All SCAM masts have a heavy duty square section base and keyed mast sections to prevent inter-section rotation, making SCAM mast kits suitable for use with directional headloads. 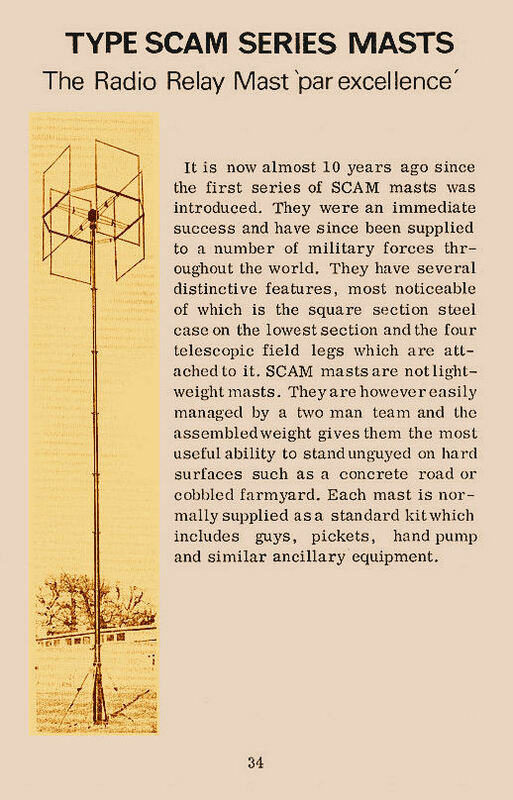 This early SCAM Series of military mast kits was available in heights of 9.6 to 21 metres with headload capabilities from 18 to 36 Kg. 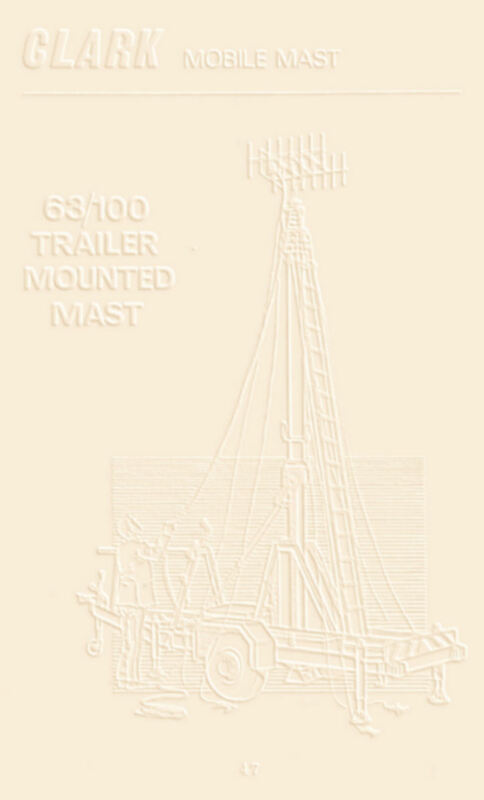 Each SCAM mast was usually supplied as complete kit including Guy Assemblies, Guy Stakes, Hammer and accessory Carrying Bag, however they were also available a single masts for vehicle mounting. 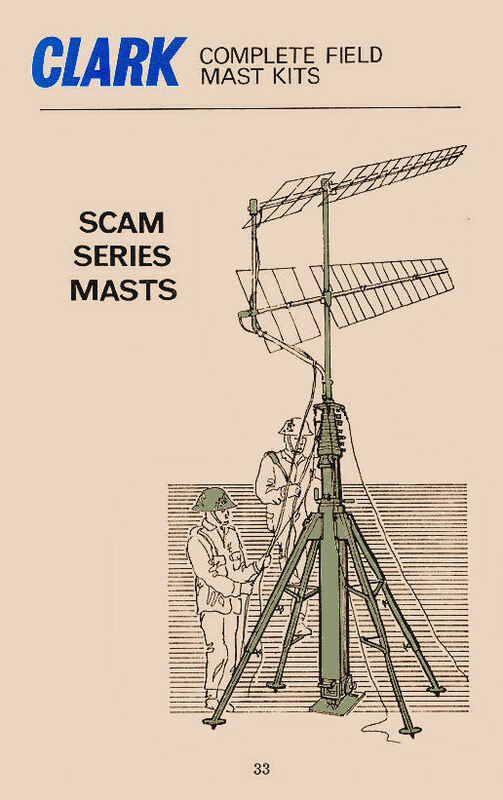 Today's SCAM Series of masts includes a total of 4 models with heights from 7.4 to 21 metres and a headload capability from 18 to 70 Kg. 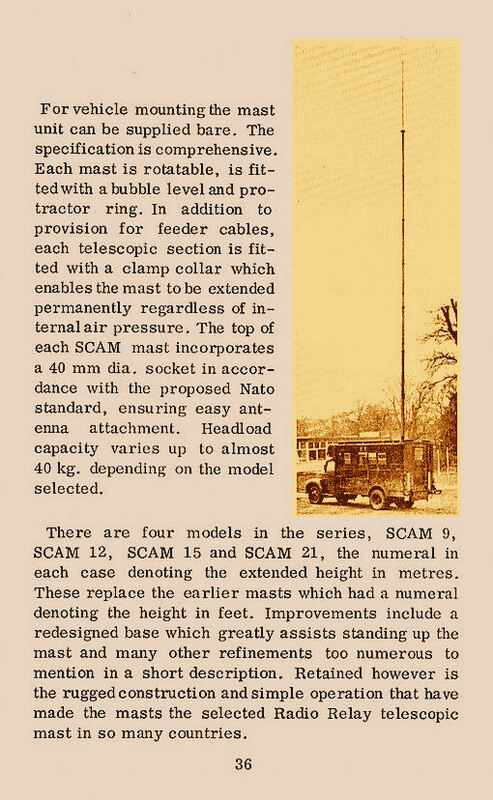 As can be seen from above, SCAM Series of military mast kits were particularly designed to be field mounted where medium to heavy loads were required to be lifted up to 21 metres. An integral handpump provided mast extension/retraction control. 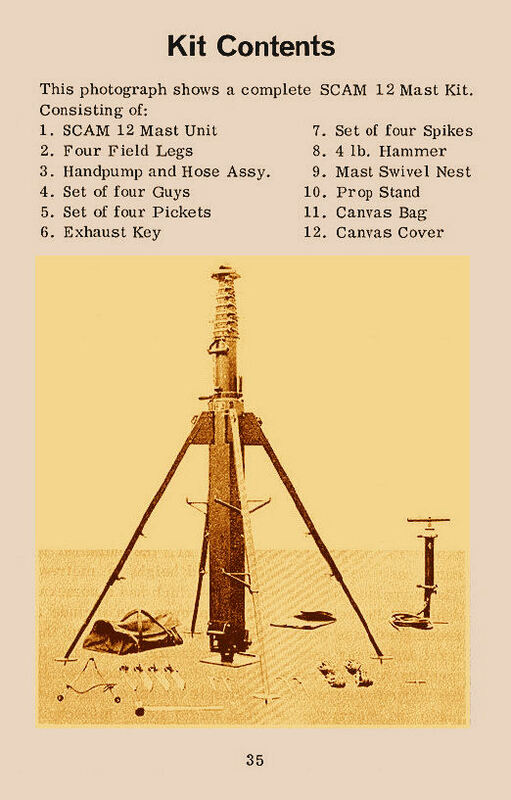 The SCAM kit consisted of mast with tripod legs attached, Guy Assemblies, Guy Pickets, Picket Hammer and an Accessory Bag. Erection could be handled by two personnel.